Robinson Road, located in the heart of Singapore’s Central Business District between Tanjong Pagar and Raffles Place, two key financial hubs of Singapore. 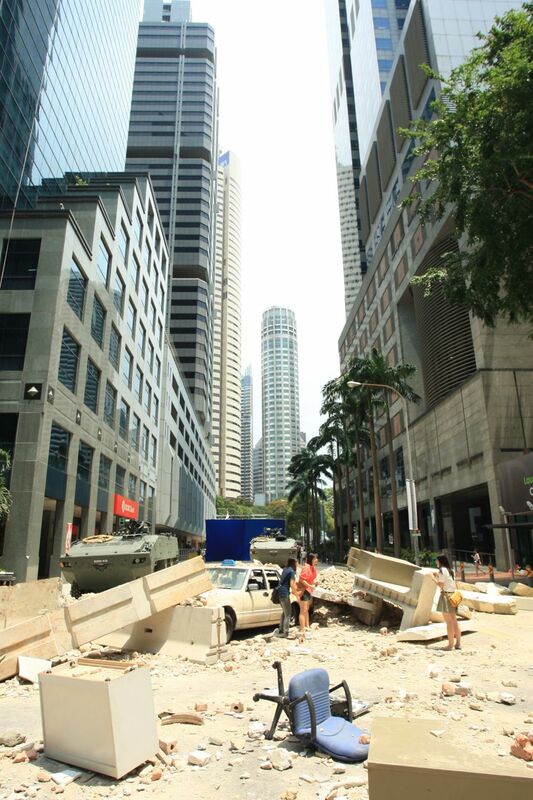 An area and long road that that is crucial to the prosperity and growth of Singapore, was suddenly into a war zone, under attack by enemy forces. Debris, damages and casualties were all around, smoke and fire can be seen around the Robinson Road war zone. 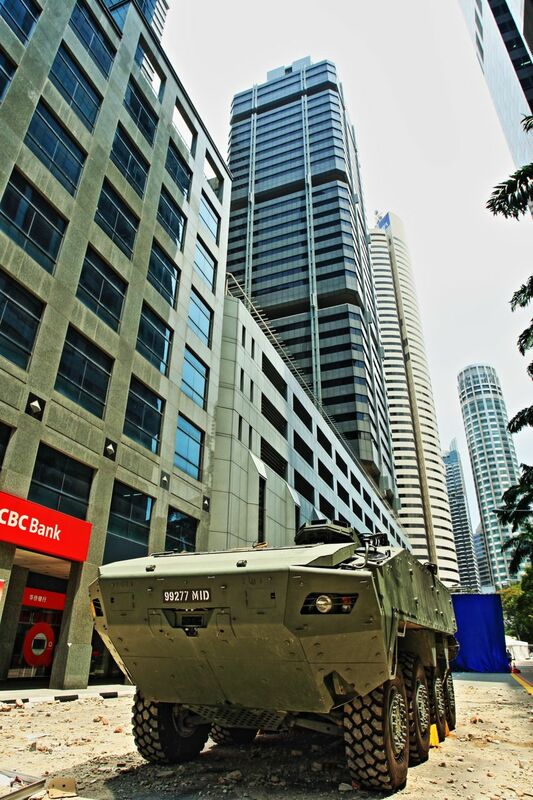 The Singapore Armed Forces were swift and decisive in reaching the Robinson Road war zone, preparing to take down the enemy forces and reclaim back our land, properties, saving the nation and her citizens. There was a loud explosion, a car was blown up and burst into flames! 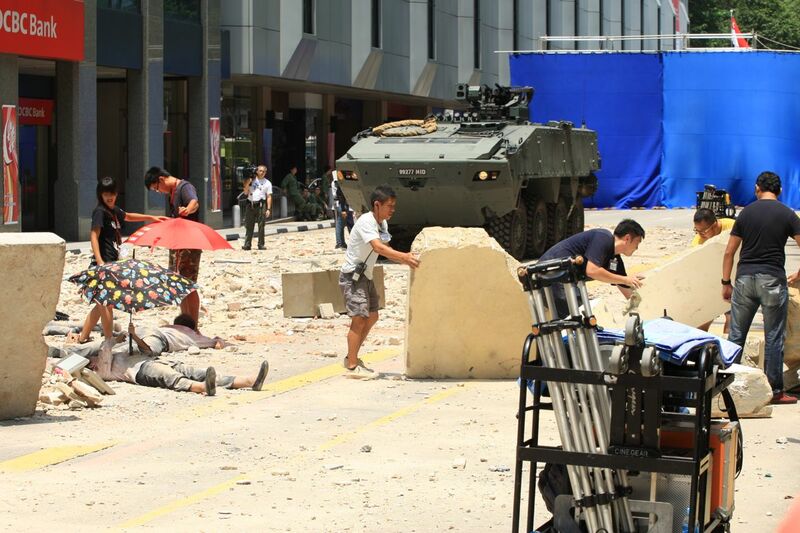 Hang on … This is not a real war scene and Singapore is not at war. I was invited by MINDEF Public Relations and JTeam Productions, along with a group of blogger friends, to visit their movie shooting/production site at Robinson Road. It was an honour to be given the opportunity and be invited inside the movie setup and have an up close and personal feel of the filming action as well as behind the scenes filming and shooting. Needless to say, it was a real eye-opener to see Robinson Road closed to the public for this filming and how it was transformed into a war zone! When the filming took a break in between filming different segments, the group of us went down into the “war zone” and started photographing the layout and landscape of the filming setup. 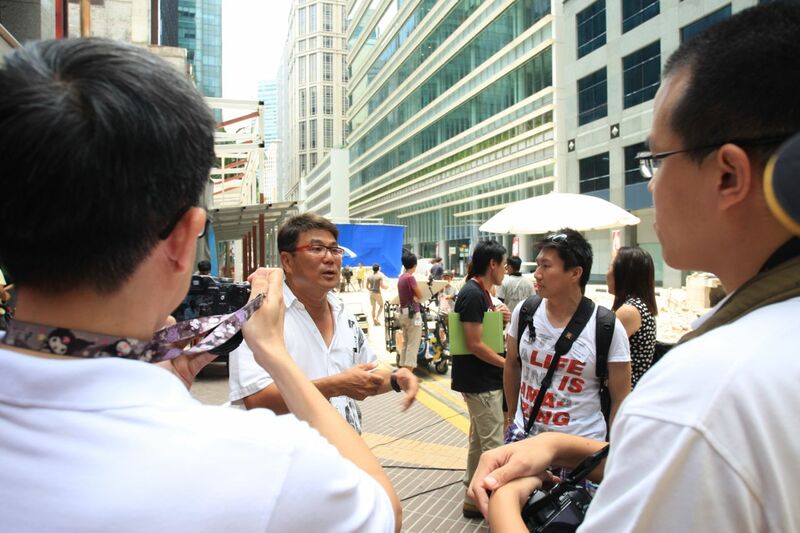 We were also honoured by the opportunity given to speak to the Director himself, Jack Neo, who shared with us about this film, the progress and what would be happening next. We took a group photo and Jack Neo got us to shout “Steady Lah!” with the hand swinging action in the middle of Robinson Road with the “war zone” setup! 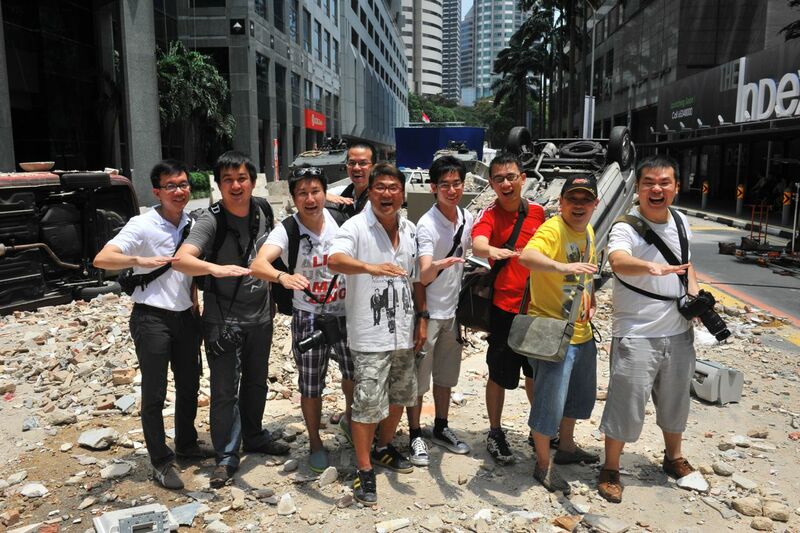 Here’s where I uploaded my Ah BOYS to MEN movie shoot/production site visit at Robinson Road on Flickr! A preview of what’s in store and coming in the final production that is coming to a cinema near you in November 2012 and Chinese New Year 2013! Being a huge fan of Director Jack Neo, from his suite of local movies that he directed, I believe that it will be a movie that the true blue heartlander in us Singaporeans (and also being an NSman) can relate and connect to easily! I am looking forward to the release of Ah BOYS to MEN in the cinemas! Do check out my fellow bloggers friends posts/stories of their visit and experiences ! Last but not least, I would like to say a big THANK YOU to MINDEF Public Affairs, Director Jack Neo and JTeam Productions for the special invitation to the filming of Ah BOYS to MEN at Robinson Road!